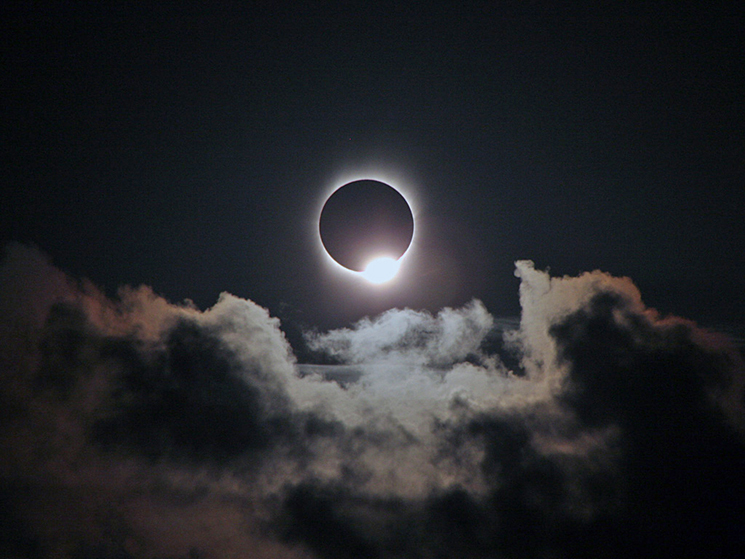 Nothing says carpe diem like a total solar eclipse. It’s a marvel few ever witness, but the stars have aligned to bring this rare celestial show to Jackson County’s corner of the North Carolina mountains. We’re pulling out all the stops to make the once-in-a-lifetime experience a marvel to remember. The total solar eclipse will make landfall over Jackson County at 2:35 p.m. on August 21, but savvy travelers are heeding this universal advice from eclipse experts: beat the last-minute rush and get to your destination early. We’re thanking our lucky stars that the eclipse falls during a perfect time to catch the waning days of summer in the mountains. While Jackson County’s three major eclipse festivals offer plenty of choices when the big moment arrives, the pageantry of the eclipse will be in full force throughout the entire weekend. Jackson County rolled out an eclipse guide to help you hone your game plan. 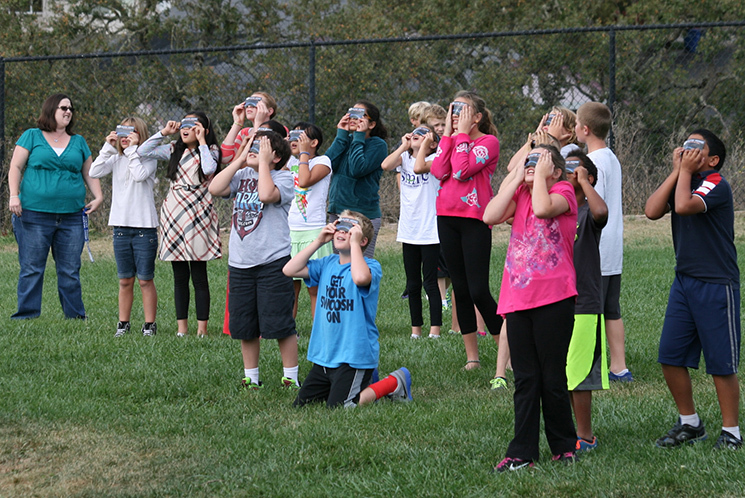 We’ve got you covered with a rundown of eclipse events and festivities, viewing tips and eclipse FAQs. Use our online travel toolbox to build-your-own eclipse getaway filled with outdoor adventure, signature dining, unique shopping, and a packed line-up of festivals, outdoor music and mountain heritage. Add an extra day to your eclipse vacation to raft the Tuck, take a hike, splash in Lake Glenville, or stroll our quaint mountain towns of Sylva, Dillsboro, Cashiers and Cullowhee. 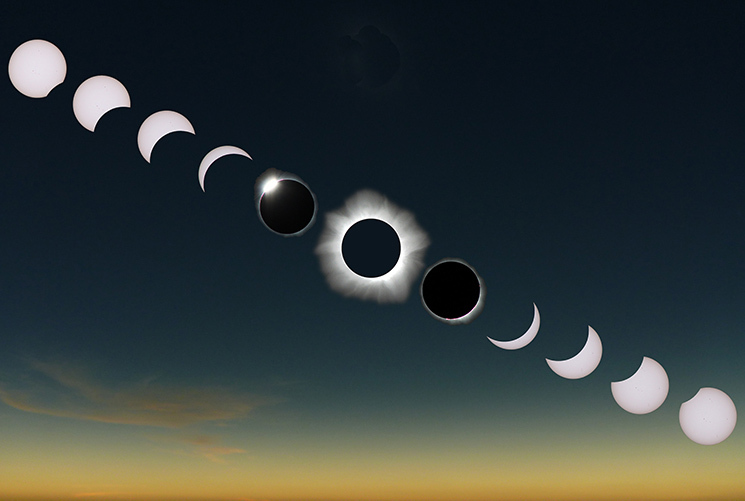 The Great American Eclipse will make a trek across the entire country, but the best action is in the path of totality—a narrow band where the full glory of the eclipse plays out not only in the sky, but on the ground as well. The moon is the star of the show as its racing shadow barrels over the earth like a tidal wave. But it’s the sun that steals the spotlight when totality finally descends—for two minutes or more in Jackson County thanks to our keen position under the umbra. The fiery talons of the sun’s corona will burst into view, leaping and streaming through the dusky sky, a phenomenon visible only in the totality of a solar eclipse. Stars will appear in the middle of the day, confused birds will try to roost, and contorted shadows will play optical tricks. While Jackson County’s mountain vistas and lake shores offer plenty of natural backdrops to view the eclipse, a trio of community celebrations will serve up a festive atmosphere for those seeking a shared experience. In downtown Sylva, live music, food trucks and astronomy stations will overflow from Bridge Park. In Cashiers, an eclipse party will take over The Village Green with more live music, food vendors and locally-brewed beers. For a more laid-back viewing site, make Monteith Park in Dillsboro your home base, with a playground for kids, food vendors and free shuttles running to shops and restaurants throughout the day. Kick-off the eclipse festivities with live outdoor music on Friday night at Groovin’ on the Green in Cashiers’ Village Green park or Concerts on the Creek in downtown Sylva, complete with Moon Pies for sale. Continue the revelry in downtown Sylva on Saturday, with live music in the afternoon, followed by Moonlight Madness where shops will stay open late with special deals and offerings. Check out special eclipse brews from local breweries, eclipse specials on restaurant menus and space-themed movies at Sylva’s downtown movie restaurant. Race under the stars with the Moonlight Run, a two-mile fun run starting from the Recreation Park in Cullowhee at 9:30 p.m. Saturday evening. Dive into the science of the eclipse with a panel talk by astronomy experts at Southwestern Community College on Sunday evening. Browse handcrafted mountain wares at one of two arts and crafts shows happening Saturday, or go all in and make it a double-header. The Dillsboro Arts and Crafts Festival fills the quaint village streets with more than 50 exhibitors — from gourd artists and basket weavers to furniture makers and painters — plus special kids’ activities. The Sapphire Valley Arts and Crafts Festival, which continues into Sunday as well, features live music, food, and wide variety of artisans on the gorgeous grounds of Sapphire Valley Resort. The eclipse falls during the height of the annual Cashiers Designer Showhouse, running from Aug. 12 to Aug. 27. Top interior decorators and designers work their magic on three new homes, transforming each room from a blank canvas into a showcase of home décor inspiration. 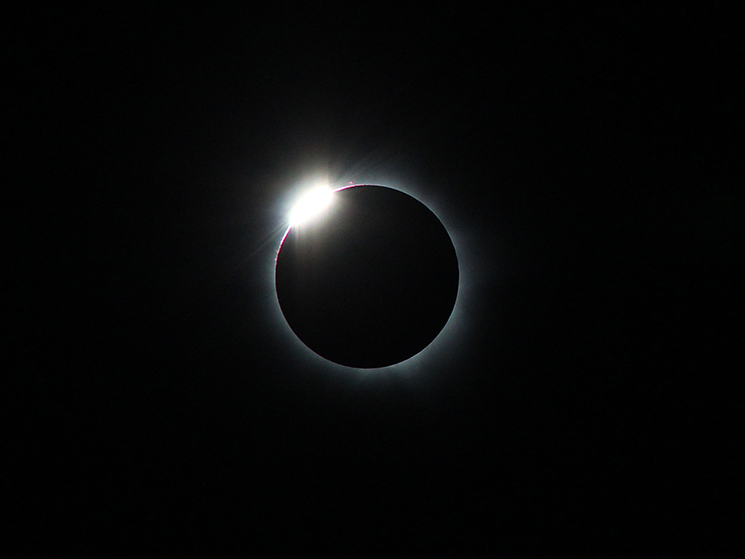 To secure a front-row seat to totality, book your overnight lodging in Jackson County for the ultimate eclipse escape. Several accommodations are offering special eclipse packages, but with the countdown officially on, spots are filling up fast.